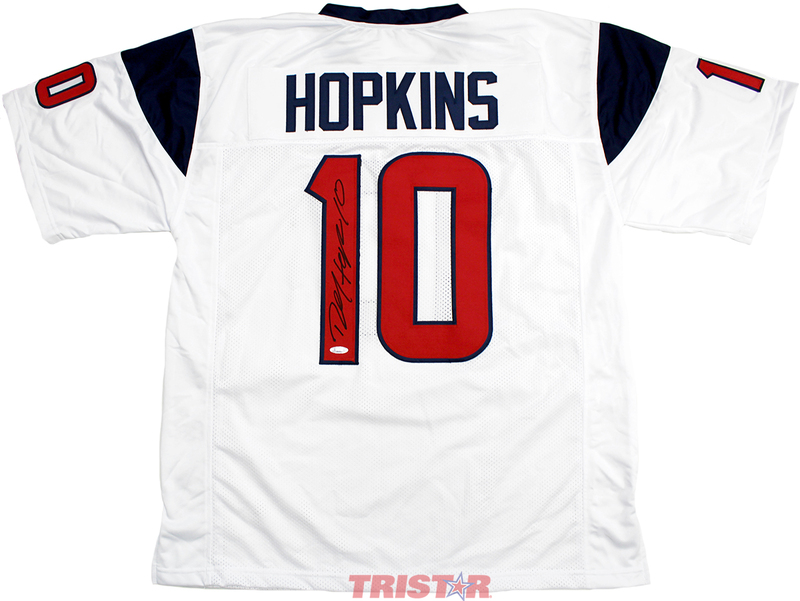 DeAndre Hopkins is a superstar wide receiver for the Houston Texans. 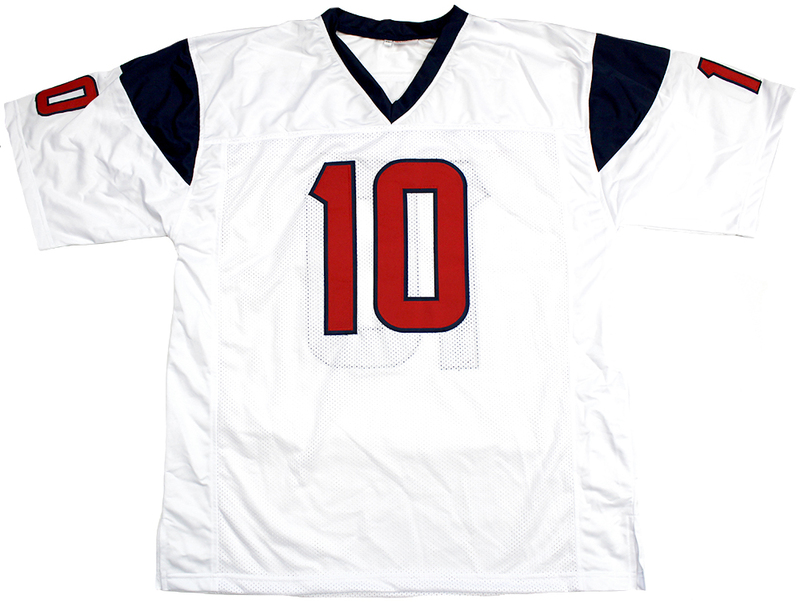 The 2-time Pro Bowler led the league in receiving touchdowns in 2017, and holds numerous franchise records. 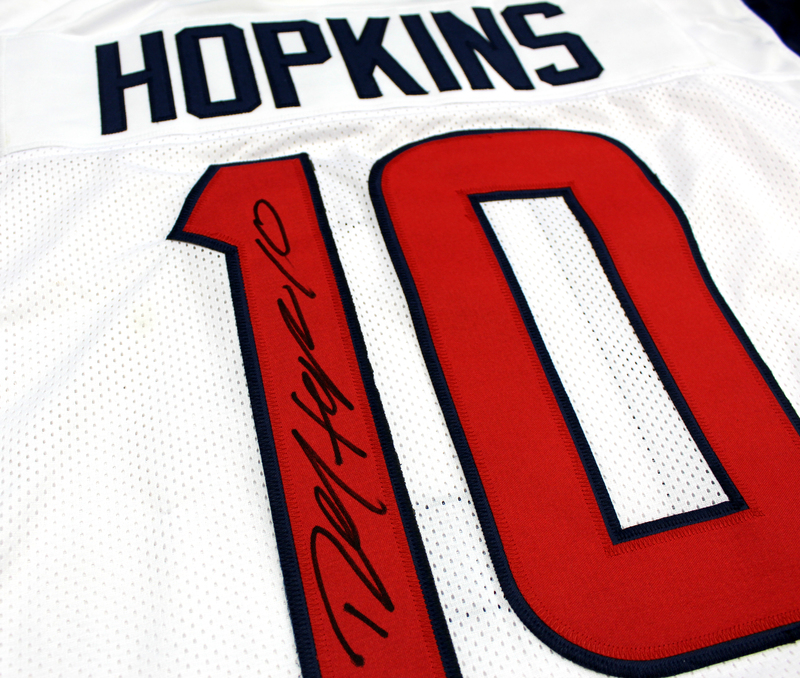 This white custom pro-style jersey has been hand signed by DeAndre Hopkins. Each autograph is guaranteed authentic, and includes an individually numbered TRISTAR Authentic hologram.